Matthew is a general and upper gastrointestinal surgeon with a special interest in minimally invasive surgery and endoscopy for both benign and malignant conditions of the upper gastrointestinal tract. Matthew is nearing the completion of a PhD which has focused on the development of pre-clinical models to better understand oesophageal cancer and its precursor, Barrett’s oesophagus. This work has led to numerous publications, awards and international collaborations. Most recently, Matthew has been appointed to the advisory board of OESO, a worldwide organisation which focuses on diseases of the oesophagus. Best Trainee Presentation, Upper GI Surgery Section. Professor Robert Thomas Translational Research Award. Best Trainee Presentation, Surgical Oncology Section. 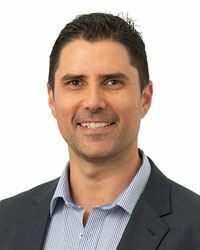 In conjunction with the team at Melbourne Gastro Oesophageal Surgery, Matthew is involved in ongoing research to ensure patients receive the most up to date and effective treatments. Read MD, Krishnadath KK, Clemons NJ, Phillips WA. Preclinical models for the study of Barrett’s carcinogenesis. Ann N Y Acad Sci. 2018 Jul 5. doi: 10.1111/nyas.13916. M. Read. Esophageal Stem Cells (Invited Talk). OESO, Geneva, 2017.